What is a VA Refinance Loan? 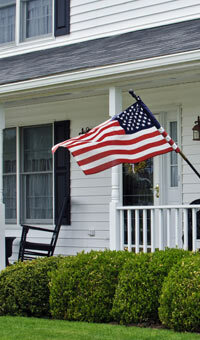 VA refinance loans are a special type of home mortgage designed for active military members and veterans. In many instances, interest rates can be better for VA refinance loans than other loans options (awesome, right?). VA loans are guaranteed by the U.S. Department of Veterans Affairs and offered by participating approved lenders like Waterstone Mortgage. VA loans help eligible veterans and active military personnel with money-saving refinance options. Who is Eligible for a VA Refinance Loan? What are the Benefits of a VA Refinance Loan? How Do I Get Started with the VA Refinance Application Process? To apply for a VA-sponsored loan, you need to obtain a Certificate of Eligibility (COE). Your COE verifies to lenders that you meet the requirements necessary to obtain a VA-sponsored loan. Applying for a COE is straightforward and can be done online, through the mail, or through a lender. Active duty military personnel and current National Guard members or Reservists who have never been Federal active service members will need to present a current statement of service to obtain a COE. Contact a mortgage loan professional in your area learn about the loan application process.